Round four is now over and Joe has come up an overall winner again with two of the three races going his way. I thought it timely to show a picture of Bo's ongoing site developement with a shot of the end of the main straight infield. 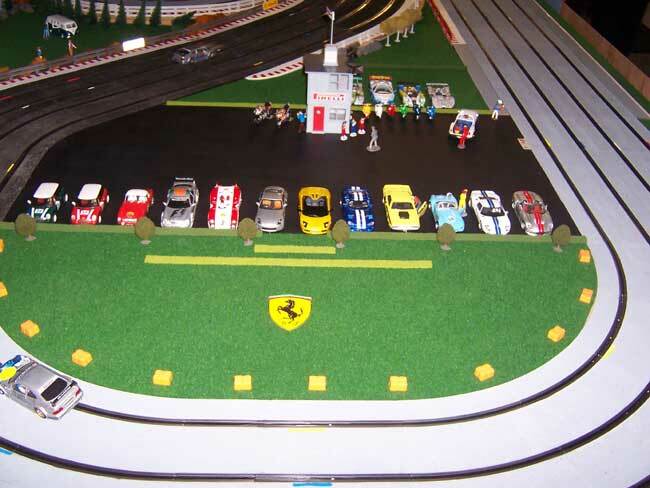 Looks as though Ferrari Park would be a suitable name as the track develops. Maybe a Ferrari gathering at the track would be a good topic to see on here. How about it Bo? First up for the night was NC1 classics second round of the series. Mainly Ninco Classics but there is the odd Carrera and Pink Kar thrown in as long as an NC1 motor is fitted. 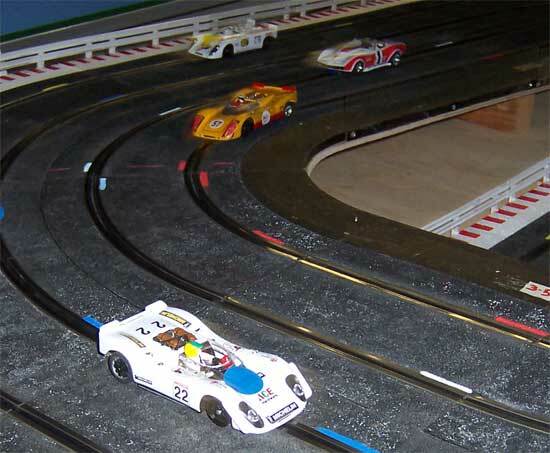 Here we see Daves Pink Kar Ferrari 250 GTO Charlies Carrera Aston Martin Glenn's Ninco Ferrari 166 and My Carrera Mercedes 300 SLR. 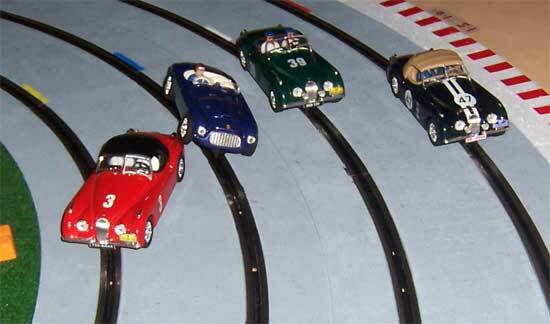 This staged shot shows Jamies rapid Ninco XK 120 giving Clintons Ninco Ferrari 166 curry with Bo's and Cameron's XK 120 jags round the outside. Joe won the round again with his XK 120 Ninco followed by Jamie taking second in his XK120 and Glenn surprising us all with the speed of his Ferrari 166 by pipping my Mercedes for third. Clinton's Mercedes CLK DTM with NC5 engine leading the first corner melee from Jamie's similar car from Dave's Fly Alfa with Slotit HRS chassis and Slotit Boxer motor and Glenn's Ninco Audi with NC5.  Clinton did well considering he is a newcomer to the track and is used to running on Artin track. His Ninco racing is usually with magnets. Dave leads the field through the kink from Bo's Ninco Mercedes with NC6 Glenn's Audi and Cameron in the "Devious Rentals" Fly BMW 320 with Slotit HRS Chassis and NC5 motor. 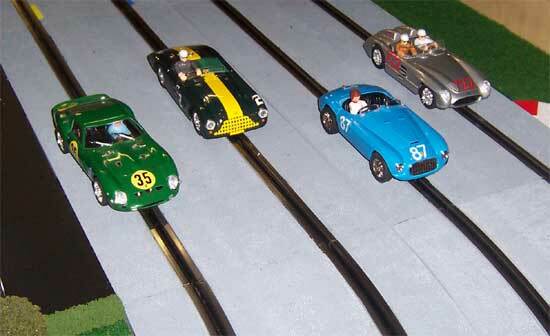 Cameron is leading Joe's Proslot Alfa with Red motor from Dave and Charlie close behind with the NC6 Ninco Mercedes. 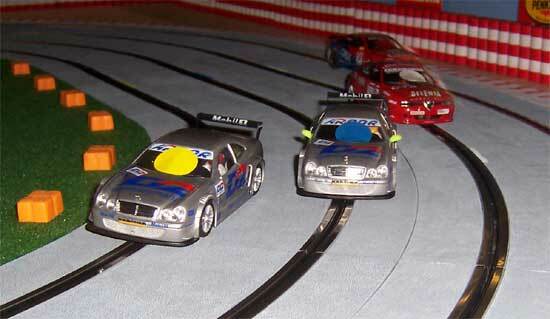 I won on the night with my Mika Mercedes CLK DTM and just pipped Jamies NC5 angined car. Joe was hot on Jamies heels with his Alfa Proslot with Dave just over a lap down. Bo and Charlie were next very close together and Clinton also did well for a first timer. The Ninco Mercedes is the car of choice at present in Open Sedans as there were specials everwhere for these and a simple NC5 or NC6 upgrade puts them in contention for a win. This is what I did to mine to get it across the line. Ninco NC6 engine Slotit 26 tooth Crown Slotit magnesium wheels on the rear and plastics on the front. I supported the front axle to reduce the rolling resistence. I will now retire the car to the cabinet as it has no damage from two wins. 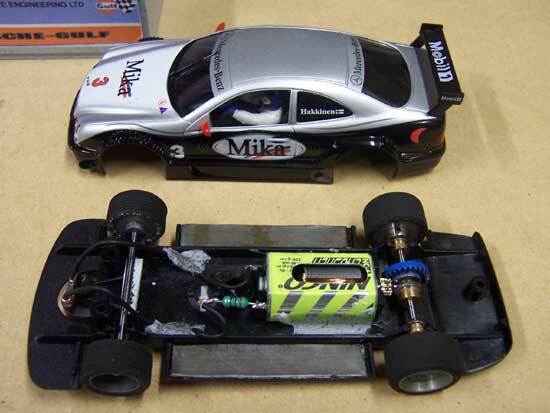 Back to the standard chassis. The pre 72 Sports class was last on the night. These were limited to Fly's standard motor but Slotit parts could be used. Surprisingly the quickest cars ran with a standard fly rear end. 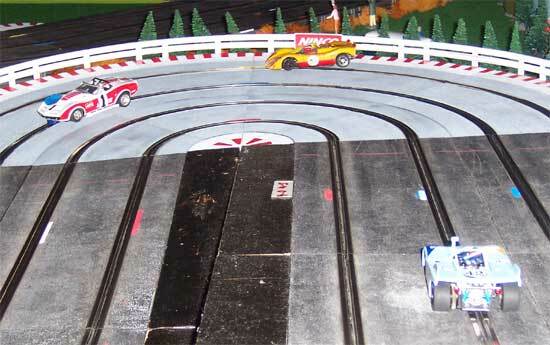 Jamie leads here from Joe cameron and Bo's surprisingly quick Scalextric Vette. Bo's car was every bit as fast as the Fly cars even with the front engine. Looking at Glenn's wide backend here. 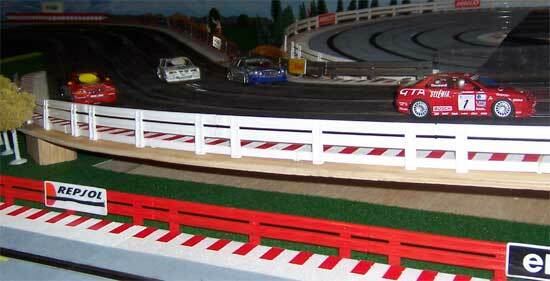 He is following Joe and Bo into the hairpin. Too much chocky over easter eh Glenn. Clinton leads Charlie onto the straight in their Chevrons. The results for this class were First Joe in the Fly 908-2 from myself in the Fly 917 Spyder with a very crook Jamie close behind in third. I think the tyre licking is finally catching up with him. Dave Bo and Glenn followed behind. A great nights racing was had by all and it was good to see a new runner with Clinton showing for the first time. Great reporting Vince! and nice pic's too. Another very enjoyable race meet and some excellent close racing once again. Nice pics Vince. 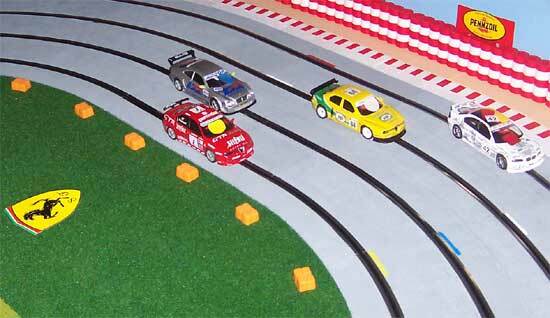 Those DTM races were first rate with some very close and hard racing, very enjoyable. 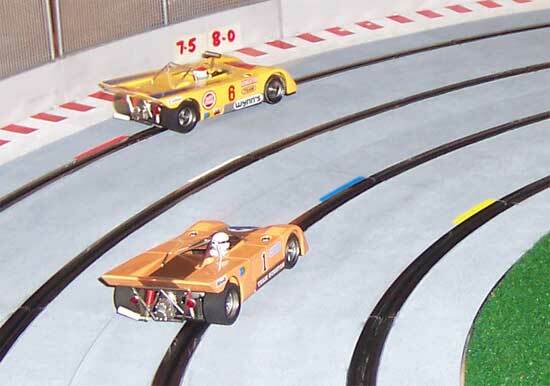 It is nice to see some cars other than the Ninco Jags in the Ninco classic field. That Carrera Aston Martin might not win a race but it looks good and with all that weight it runs like a tank. Looking at Glenn's wide backend here. Its not as big as those slidey Jags though. Bloody things were like trying to pass semi's on the Hume Highway.